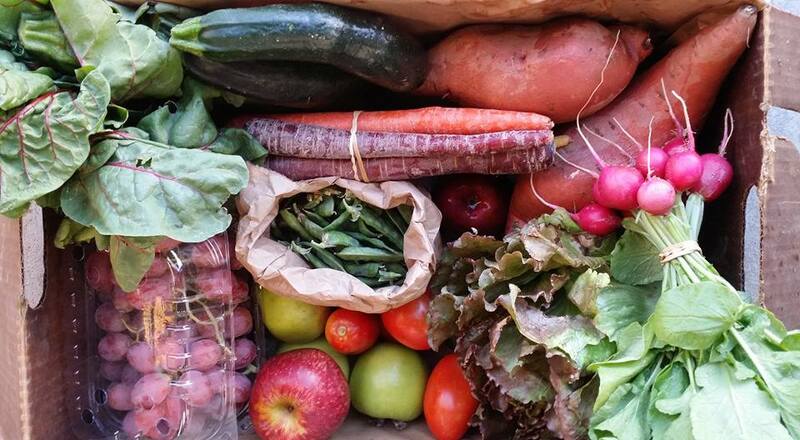 Did you know that most produce loses 30% of its nutrients 3 days after harvest? 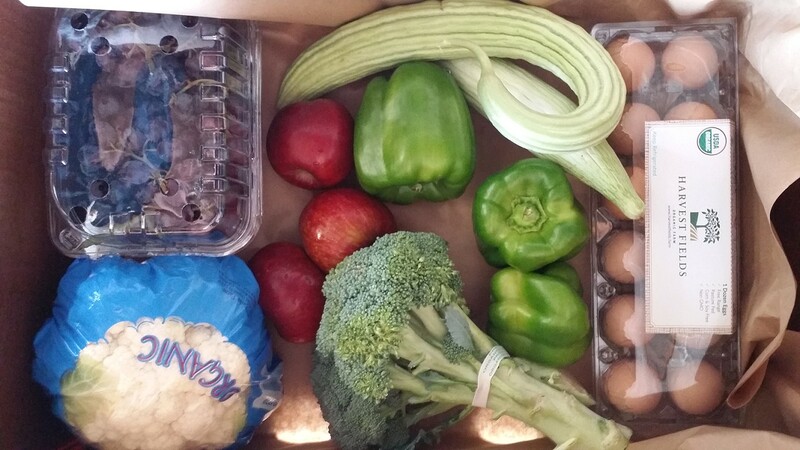 We harvest and pack your produce on Monday and you receive it on Tuesday. You can’t find food that fresh in most grocery stores! Our farm is certified Organic. You can eat in peace knowing you are not ingesting toxic pesticides. This food is safe for your body and the planet. While most of our items come straight from our farm, we do partner with other local organic farms if they are growing something we cannot grow. By shopping local, you reduce your carbon footprint which promotes better air quality and reduces pollution – which we could use a little more of here in Fresno! Like farmers’ markets and roadside stands, CSA’s offer the benefits that come to farmers and consumers when they come together directly. Consumers get to know where and how their food is grown, and farmers get fair pricing in an otherwise harsh market. You have 4 options. There are 3 sizes of “standard” boxes to choose from. We pick the produce for you each week. You will get an email every Sunday, letting you know what’s in the box so you can plan your menu. You can also add anything to that box from what is available on our webstore. Note: Allergies: At the bottom of this same page you can list any food allergies your family has. Aside from eggs,there will not be any other animal products distributed through the farm, so those can be left off. 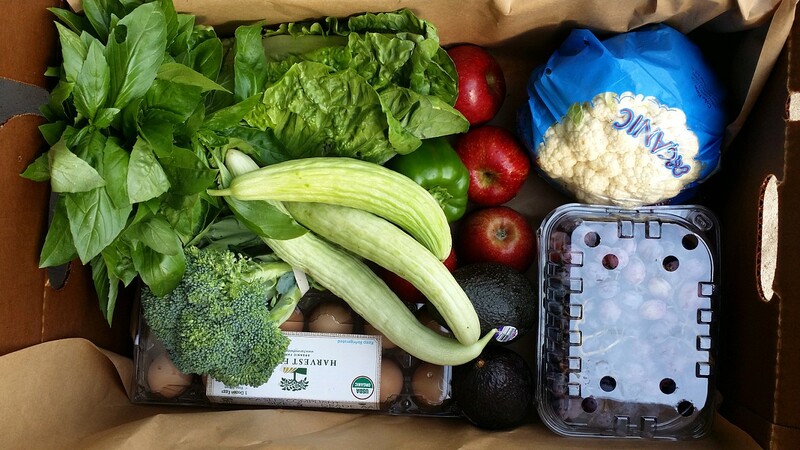 If you are a Small, Mini, or Large Harvest Box member and you are allergic to something scheduled to be in the box, the farm will make a substitution for that item in your box. You will see both a list and a map of locations you can pick up your produce from. You can also have it delivered directly to your home or office for $3.00 extra fee. Payment is automatically managed through our secure web store. 1. Pre-pay – You can pre-pay in increments of $100 and $300. In doing this you will receive some bonus cash. Prepay account cannot be cancelled until the prepaid amount is used in full. 2. Debit on delivery. This simply means you will pay for boxes on the weeks your receive them. 3. Electronic Check – “Electronic Check” has the lowest transaction fees and is the cheapest for the farm. Debit/credit card transaction fees are the highest. PayPal is in the middle. Please select which ever method with which you are most comfortable, but please note that ALL THREE methods are AUTOMATICALLY RECURRING and will remain so as long as you are placing orders. The ONLY permanent way to stop the possibility of incurring charges is to cancel your account. You will also need to enter basic contact information at this point. Step 5. Click finished and you’re done! Click Here to see the CSA’s Financial Policies.